Every Sunday, Making A Mark gives a bit of space to an insanely talented artist. Heading into Christmas that spotlight will feature a pro whose artistic style has a positive and bright festive feel, one that makes their work more than just 'good for goodness sake'. 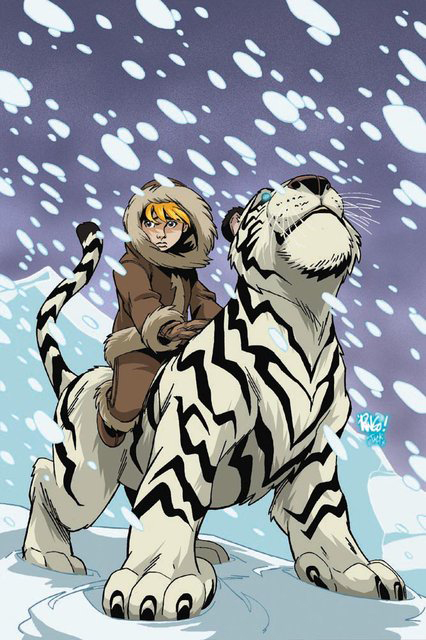 Today an artist I've wanted to get to for a long time, Mike Wieringo. 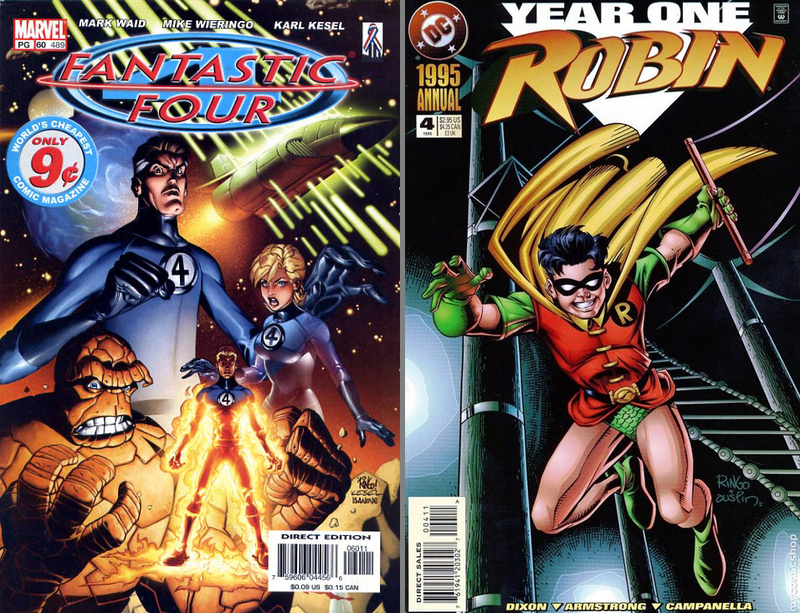 As a massive fan of both The Fantastic Four and The Flash, I've always wanted to do a post spotlighting the magic touch Mike had with the pen, but until I decided on highlighting artists with a bright festive feel, I never felt I had the right moment. His art wasn't just 'all ages' friendly, it was stylised, bold and most of all fun. 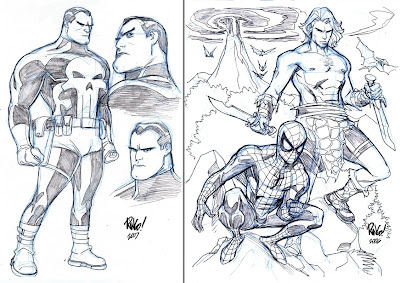 As his massive sketch gallery over at deviantART.com shows, no matter the character, Mike could nail them with linework alone. See? Punisher can work without all the grim 'n gritty if you get the character. Also his way with Ka-Zar was stunning. His trip through the Savage Land with Hulk and Ka-Zar in Sensational Spider-Man #13-15 was a blast it seemed for both reader and artist, and it would've been cool if he had got a chance to revisit that (among other things). Not surprisingly for me Fantastic Four was Mike's opus. 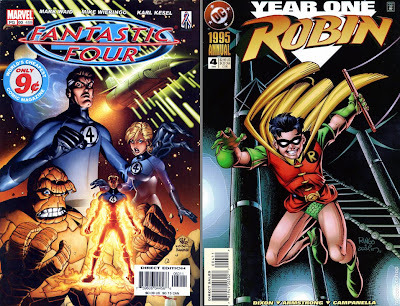 Right from the teaser image of Fantastic Four Vol3 #60 (above), I knew the book's recent troubles were over. That cover could've/should've been a movie poster - everything about the Four was all right - right there. 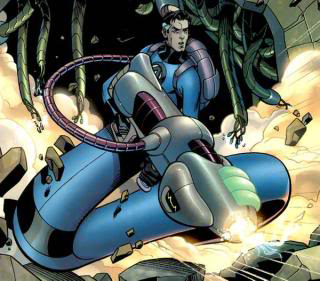 The best in his hands - easily Reed Richards. While he gave all the quartet a unique look with fluid lines, on Mr Fantastic those abilities just went that one step further. For more of Mike's great workings visit the previously mentioned deviantART gallery, or his own personal website. Completely agree Rob - and if the fun you have drawing can show through in the finished product, then that's an awesome trait too. I really love this style, especially that Punisher sketch. Thanks Dan. Such a gentleman and a scholar. I had the pleasure to interview him in early 2007. We made plans to chat some more at Baltimore that year, but he was called home a little too soon. He is right up there as one of my all-time favorites, right alongside George Perez and Kevin Maguire. Thanks for the comments Doug! Mike always seemed like a nice guy in what I read. Yeah I like that Punisher allot to Craig - check out that deviant link too see the full gallery - he does almost everyone!